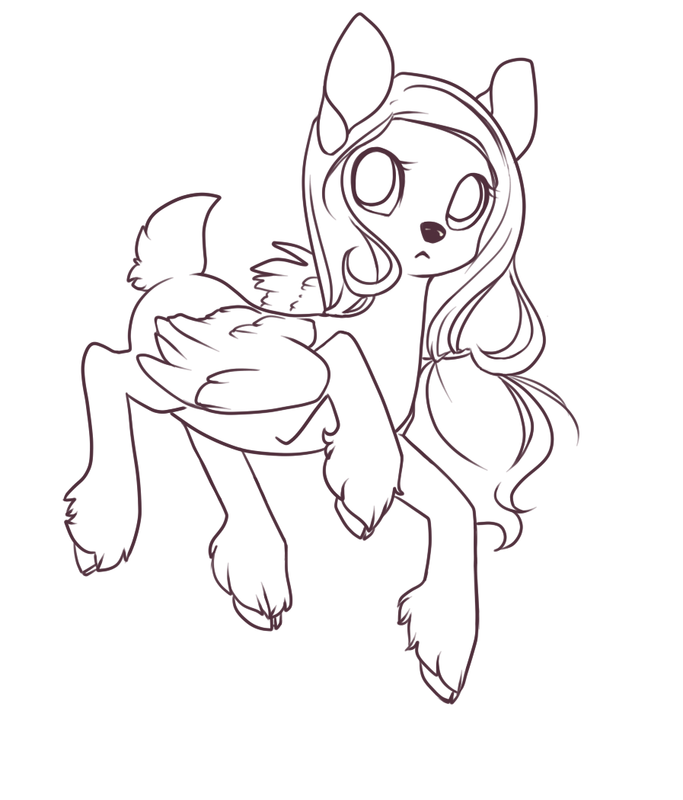 this is a line art of a new OC I'm working on. She's a peryton! I have yet to come up with a name for her, but I already have her colours! So cute! Can I colour?